In the market for a new PC game? Forget purchasing outright and dropping $20 or more on a title that doesn’t deliver the goods. Go the subscription route and taste test things, finding the games you like best. 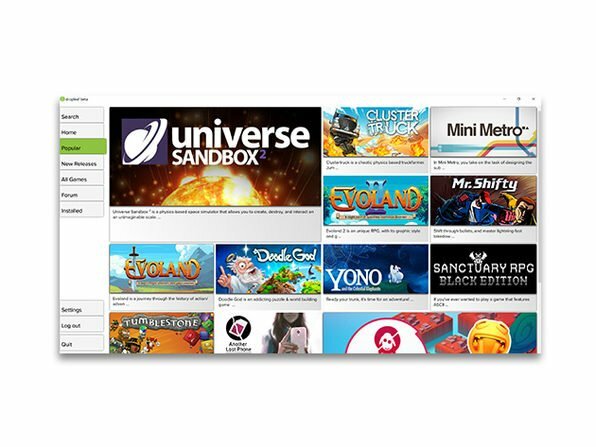 Consider dropleaf, a service with unlimited access to independent PC games. Our Deal of the Day is an all-access subscription to dropleaf and its growing library of games. Currently sitting around 80 titles, it’s expected to grow by around 10-20 titles per month. Normally, customers would pay $9.99 per month for all-you-can-play; however, we’re offering steep discounts to our readers. If you head to the AndroidGuys Deals Store, you’ll find that we’ve got a six-month plan for just $19.99. That’s essentially like buying two months and getting four more months for free. Alternatively, we have a one-year plan for just $34.99, which amounts to a discount of 70% from the normal price of $119.98. Even better is the two-year option at $59.99, a savings of $180, or 74% off.